A great piece by Colm O’Callaghan for The Blackpool Sentinel today tipped us off to a new music show in the RTE schedule. Like us Colm is a fan of Dave Heffernan and used watch ‘Anything Goes‘ religiously of a Saturday morning – for the music segment. Ten years after the Des Bishop hosted ‘Reverb’, RTE television is once again dipping it’s toe into the music archives. 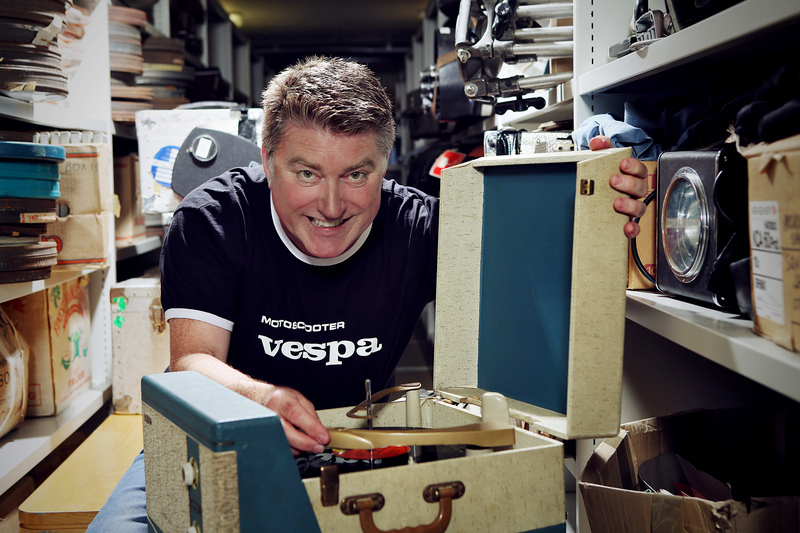 The multi-talented Pat Shortt raids the RTÉ music archives to unearth the most popular, rarely seen and occasionally wacky music and music-related items from over 60 years of programme making. We know Pat has musical chops so fingers crossed he doesn’t play this one for laughs. Pat Shortt’s Music for D’Telly kicks off on RTE1 Friday, October 30th November 6th at 8.30pm. The series is directed and produced by Dave Heffernan. For what it’s worth we’d love to see someone like Colm let loose on the RTE archive to dig out some of the treasures we know are there. Maybe time for the ‘No Disco‘ approach once again? The End for ‘Guaranteed Irish’? I wanted to say a few words about 4FM. I’ve been a regular listener to the station, well for two hours on a Sunday at least, for the last six months ever since I discovered Dave Heffernan’s ‘Guaranteed Irish‘ show. Well it appears my Sundays are about to become free again because Dave quietly announced last week that he has only two shows left. I can’t say it came as a complete surprise given the activity on their website of late. 4FM seem to be in panic mode with the site getting a revamp every other week. Where once Dave’s show had it’s own page featuring podcasts of interviews with bands who appeared on the show now he has no page at all. Of late the show itself seemed to arbitrarily change timeslot from one week to another and finally was chopped in size to a single hour, half it’s original size. On paper Dave’s show is deceptively simple, he plays Irish rock music from the last five decades. In practice you can expect anything from obscure 60s beat bands to blues and experimental 80s pop to up and coming artists. The 80s is my decade of preference but Dave’s music selection is such that he always keeps my interest and I am sure to hear something I’ve never heard before. Limerick’s Eugene Wallace is one example of an act I had never heard of before and other acts like The Atrix and DC Nein were a little before my time and great to hear. Dave didn’t restrict the show to acts gone by and recent favourites of his include Sive and The Gandhis. He also invited guests into the studio and those who joined Dave in the studio include James Vincent McMorrow, Paul Brady, Eamon Carr, Christy Dignam, Eleanor McEvoy, Windings, Electric Penguins, Niall Toner Jr, The Coronas, Lumiere, Julie Feeney, Bill Coleman, Tiger Cooke, Pete Courtney and Mundy. The show will be sorely missed and I wish Dave and producer Brendan Russell all the best. PS There are two shows left so tune in to 4FM on Sunday at 8pm to see what you have been missing. Email the show at irish@4fm.ie. Check out the show’s website here. We’re fans of Dave Heffernan’s 4FM show ‘Guaranteed Irish‘ on this blog and some time back put out the word that they were looking for obscure requests. It paid off and we managed to hear a few of our own personal favourites played of a Sunday night. However it looks like Dave and producer Brendan Russell have run into some difficulty. Maybe readers can help out? If you missed a recent show why not look at the comments to this post where you’ll find a few archived. Update: MP3 submissions accepted. ‘Guaranteed Irish‘ is the title of Dave Heffernan‘s Sunday evening show on 4FM from 6-8pm. Last week’s show was a good one with some personal faves making an appearance and I didn’t even send in a request. As Dave himself says “the more obscure the better”. I wonder have a few readers of this blog been making requests? Anyway keep up the good work Dave and in case you missed the show check it out here. And 4FM, how about taking a leaf out of the BBC book and letting us see the playlist for previous shows? Update: Just found I was looking at ‘wrong’ Dave Heffernan page so have corrected the link above (the old one is here).